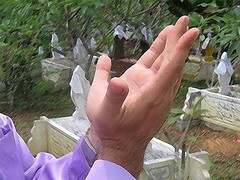 I received some coins from my friend Nicolae from Romania in exchange with Malaysian coins. While I was sorting out my coins collection, I was trying to find out what was the oldest coins I have in my possession. 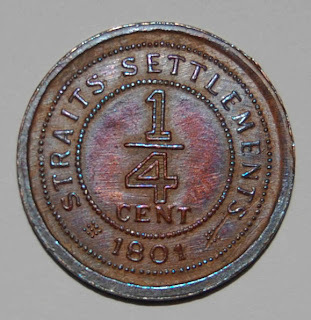 I am surprised I have 1801 straits settlement 1/4 cent coin. 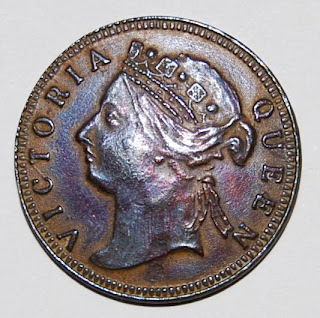 207 years old coin!. I wonder how much is the value right now. Tried to refer to some coins book but nothing reach that year. I pernah tanya kedai yang I selalu beli coins dan duit kertas fasal duit 1801 tu.. dia kata palsu. Tak tau la fasal like what you said it starts 1826. Rasa kena siasat la..